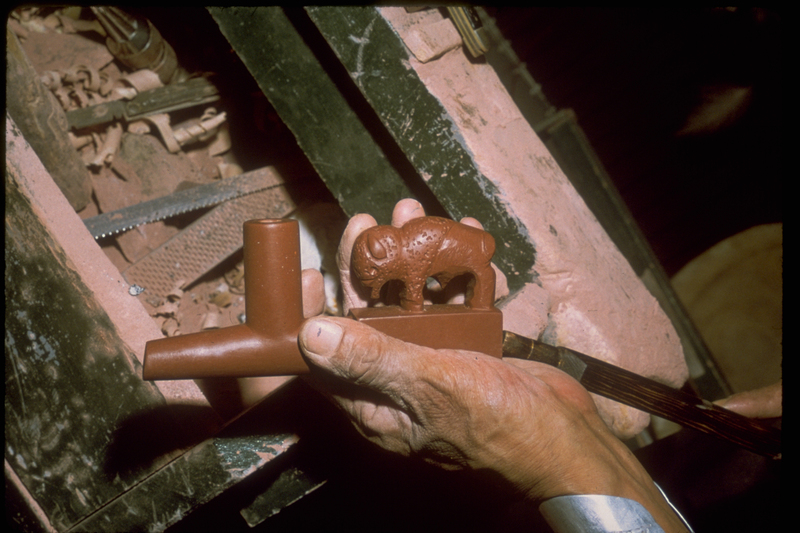 Different Native American people carve sacred pipes from the pipestone quarries in Pipestone, MN. These pipes are used for spiritual as well as commercial use by different people. “Sacred Pipe at Pipestone National Monument,” Religions in Minnesota, accessed April 18, 2019, https://religionsmn.carleton.edu/items/show/2824.